When I saw Peak Rail's train on Sunday I thought that perhaps this was one of the engines that worked on the Cromford and High Peak Railway as it had the 17D shed code. When I got home I checked and found a picture with this caption. "Robert Stephenson and Hawthorns 0-6-0ST masquerading as a class J94 and supporting the number No. 68013 (previously WD150 Royal Pioneer) arriving at Rowsley South at Peak Rail with a service from Matlock on Sunday 24th April, 2011." 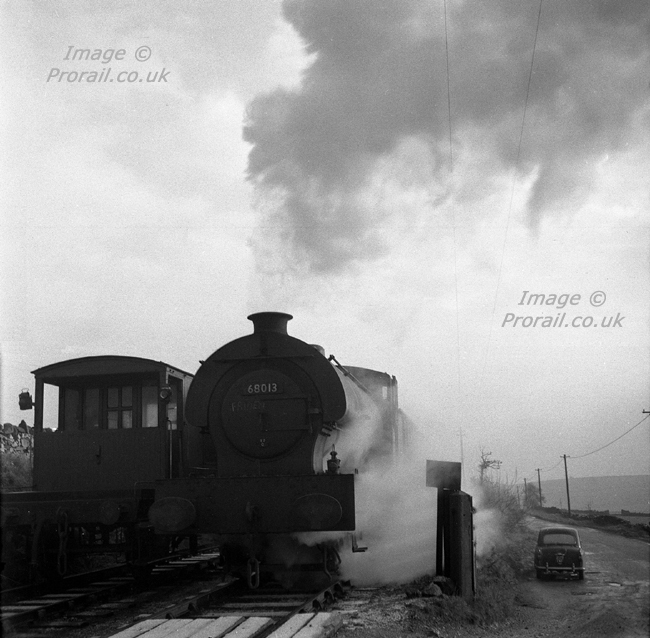 Does anyone remember when a similar engine fell off the rails near Middleton and rolled down the bankside?